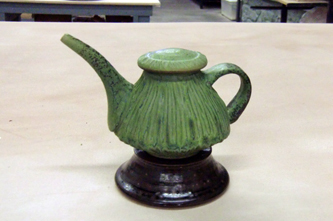 This is a teapot I made a long time ago. It is wee. 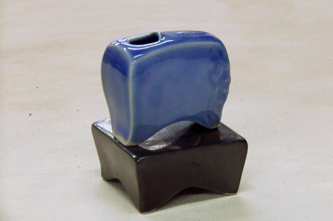 It is also the first form in which I utilized a base. 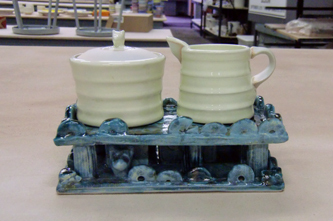 A base can be used to make something appear just a little more special. 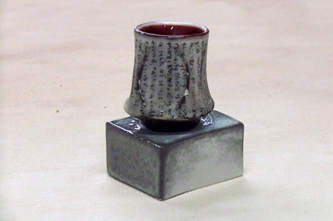 This tiny, two inch cup has more presence with it’s base, don’t you think? …and the base is a pot! 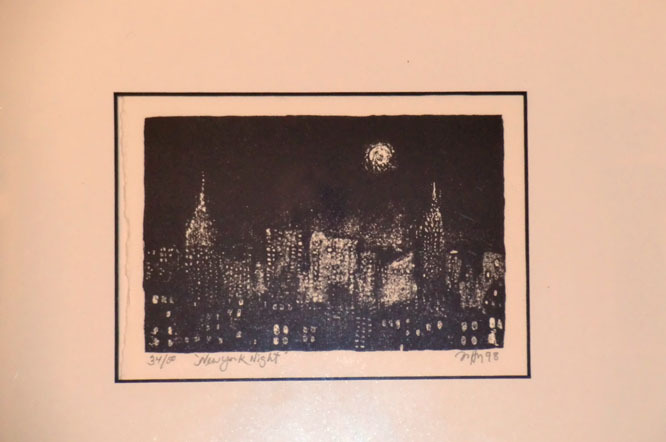 This was made by Sylvie Granatelli. Have you seen our new website? Classes starting this week! 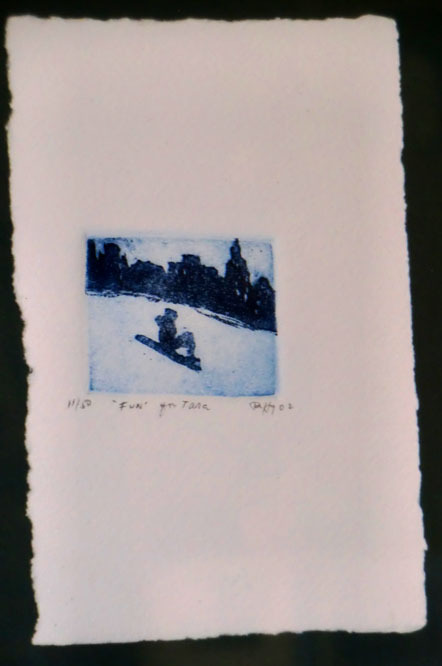 Deb Schwartzkopf workshop coming soon! Be sure and check out the “Blog” section…access at the bottom of the home page! …”Studio Insider”! I am the “Studio” blogger! Do you need a ! ? I have some extras!!! 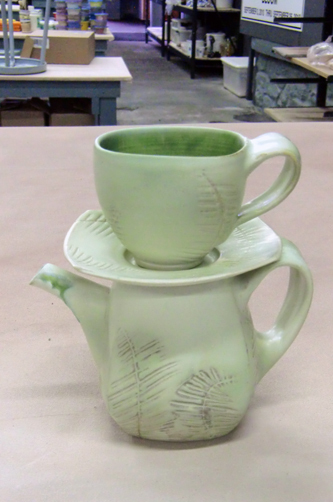 The artist asked, “What do you do?” I said, “I’m a potter.” His eyes lit up and he cupped his hands and exclaimed, “Oh! 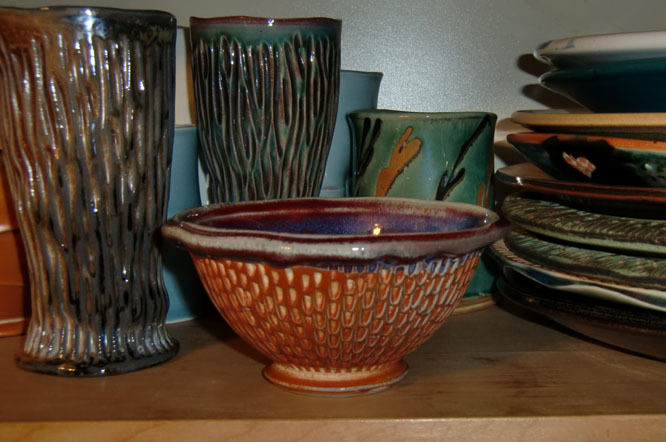 I just love how a bowl feels in my hands!” He was so passionate about his soup bowl that I said to him, “You know what? I’m going to send you a bowl.” Coincidentally, perhaps even oddly, I had been spending time in my studio making small bowls specifically to feel good in the hands. So I jotted down his address and when I returned home, I sent him a bowl similar to this one. Notice the title, “Fun For Tara”. Wasn’t that nice? 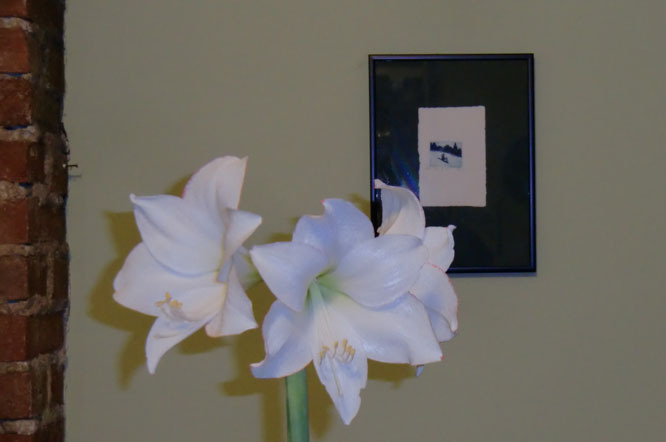 I was thinking about this little print because I noticed today how well it goes with the amaryllis given to me by my buddy, John Eck. It just bloomed out this week John, but wow…it sure is pretty. Thanks! Birds Botanicals. Then, spend 6 weeks designing and making containers from clay using a variety of techniques. Choose your favorite and on the last class night, students will meet at David’s cave (yes, cave!) where he will teach an additional class on the planting and care of that beautiful plant, the orchid. 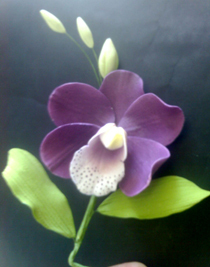 Each student will receive an orchid to plant in his or her own vessel. Wheel throwers and hand builders are welcomed to this session that presents an opportunity for extra exploration – orchids…and caves! Note that this is a 7 week class.